Well, it’s been quite a start to the year. After blizzards hit Oklahoma and many parts of the Mid-west and East Coast, Spring seems to be just starting. Although, in some parts of the country, such as the Desert Southwest, fresh butterflies have been flying for over a month. Closer to home in Oklahoma, fresh reports are out with sightings of Henry’s Elfins. It won’t be long until Falcate Orangetips and Olympia Marbles will be flying. 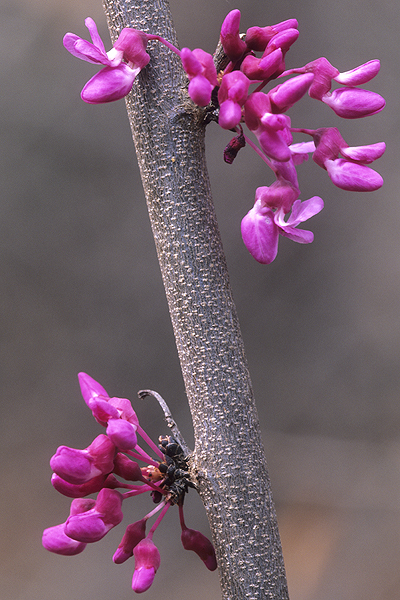 Redbud, the Oklahoma state tree and larval food plant of the Henry’s Elfin, is just starting to bloom. 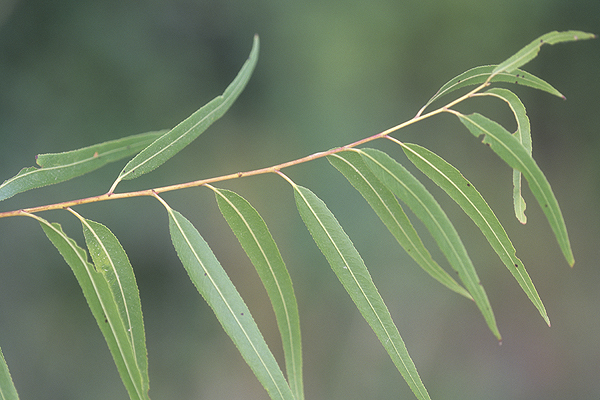 Look for these thumb-nail sized beauties nectaring from and dog-fighting around these trees. Olympia marbles are found more out in the prairies and seem to always be on the move, although they will stop to grab nectar in quick sips. Falcate Orangetips are another butterfly that seems to constantly be on the move and likes to fly through open woods. 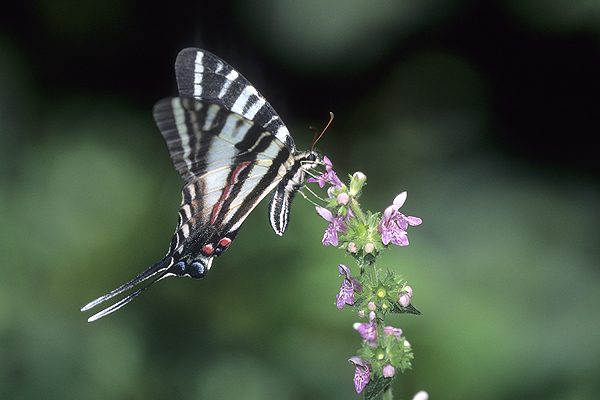 Look for them to also stop for quick sips of nectar on plants such as spring beauty. Bryan was able to do a few more presentations. On 7 January 2011, he was at the Jefferson Middle School in Oklahoma city where he gave a total of five presentations to eager students. Each time, the two science teachers were able to combine their classes into one room. So, they were able to get a two for one for each of the five talks. The kids loved the programs and Bryan received several kudos from them as part of a questionnaire the teachers handed out. On 5 March 2011, both Bryan and Laura were in Muskogee to give a presentation to the Friends of Honor Heights Park. This group is in the process of raising money for an extensive butterfly garden and indoor butterfly house. Both Bryan and Laura had a great time talking to the participants and we encourage people to check out their website and help contribute to this very worthwhile cause. Like I said in the talk, even if you can’t provide monetarily, and you live near the area, please volunteer some time with the actual work on the gardens. break which is Saturday and Sunday the 12th and 13th of March. He will give two presentations on both days. Please check the March calendar for details. And if March isn’t full enough, Bryan and Laura will travel to Tulsa, Oklahoma to give a presentation to the Tulsa Audubon Society on 15 March 2011. If you are near any of these areas, please stop in. All of the presentations are free and open to the public. The Butterflies of the World Foundation has been busier than ever since the last update. Several presentations were given around Oklahoma with all of them getting rave reviews. Bryan was at the First Christian Church of Norman, Oklahoma, on 11 March and the Wichita Mountains National Wildlife Refuge on 12 and 13 March for a total of five presentations. Both Bryan and Laura travelled to Tulsa, Oklahoma, on 15 March to give a presentation to the Tulsa Audubon Society. They met and talked to a bunch of wonderful people who were interested in butterflies and serious about butterfly conservation. A few more presentations and several butterfly counts have been scheduled, so hopefully one will be in your area. Keep an eye on our Calendar as these events are being added regularly. Also, some of these events require a registration or a small fee, so please check the links or contact information provided on our Calendar to make sure. The next presentation coming up will be at the Tishomingo National Wildlife Refuge, Oklahoma, on 16 April. 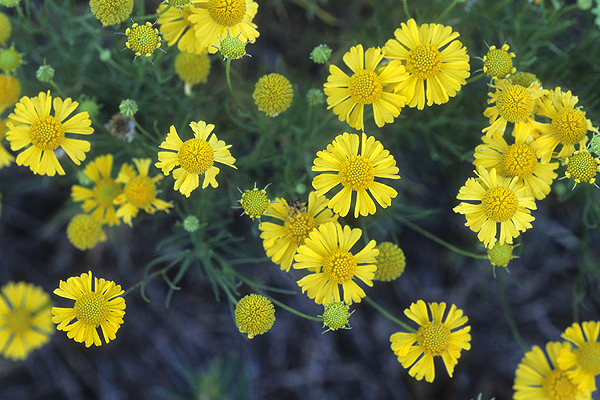 On 13 May we’ll be at the 34th Annual Wildflower Workshop held in Chandler, Oklahoma, through the Oklahoma Native Plant Society. Well, word is getting out about The Butterflies of the World Foundation. More and more requests for presentations are streaming in and we’ve been really busy since the last update. Bryan gave several presentations over the last few weeks with one at the Tishomingo National Wildlife Refuge on 16 April, one at the 34th Annual Wildflower Workshop held in Chandler, Oklahoma on 13 May, and one for the Norman High School in Norman, Oklahoma on 17 May. Bryan received tons of kudos from all of the participants. There are many more presentations scheduled, so please check out our calendar to see if we’re coming to your area. Better yet, contact us, and lets set one up for your group. Two new people have joined up with the BOTWF to give their time and expertise. One is my great friend and colleague, Professor Ronald Alan Royer, and the other is Ms. Caitlin LaBar. Please click on their names to read about them. The BOTWF is grateful for their gracious donating of their time. Bryan’s also been out with his camera and has been photographing many species. 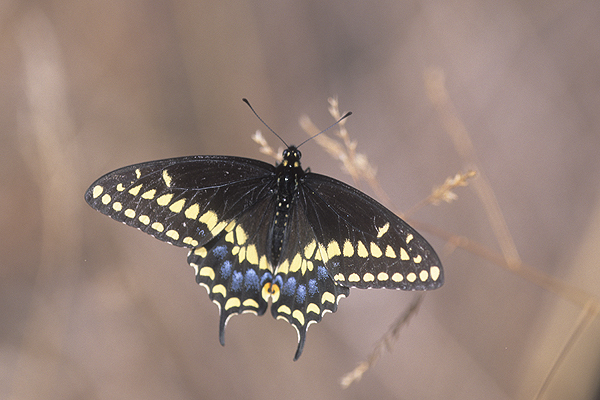 One early spring beauty was a male Black Swallowtail that was protecting a little patch of territory next to a woodlot. This species is the state butterfly of Oklahoma. Bryan was also on the hunt for two, somewhat rare butterflies to Oklahoma. One is the Eastern Pine Elfin and the other the Frosted Elfin. Because of having to dodge rough weather, he got to the Eastern Pine Elfin area a bit late. 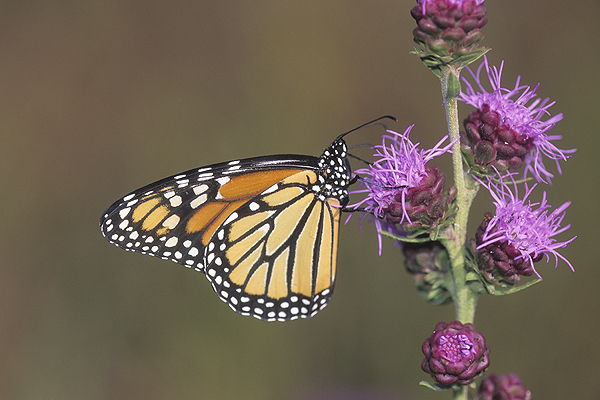 With the help of a local butterflier, they found about six of these thumbnail-sized beauties. Bryan was able to get off a couple shots on one of them. As it turned out, the images weren’t up to Bryan’s demanding standards, so they got chucked. Now that the timing and the spot has been found, next year will no doubt be more successful. And just as with the Eastern Pine Elfins, the Frosted Elfins proved to be illusive, at least the adults. After again waiting for the timing around some vicious thunderstorms with tornadoes, and coordinating with an expert who found them 20 years ago, Bryan was able to find some private property with plenty of their larval food plant. He obtained permission from the land owner and with the help of eagle-eyed Laura, they found 18 caterpillars in less than an hour. No adults were seen, but at least the caterpillars posed for photos and now Bryan knows where to find the adults next year. 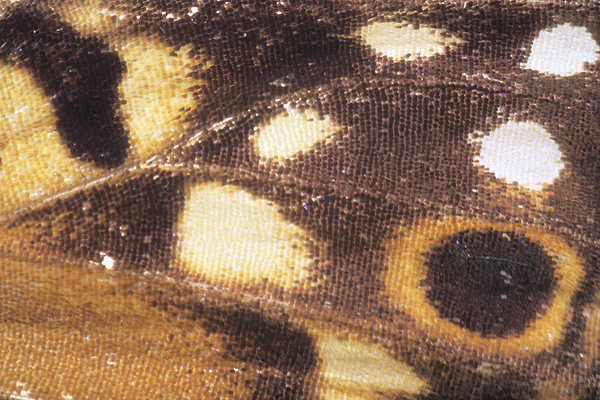 For this update, Bryan included a few ultra high magnification photos of some butterfly wings. These poor things got caught underneath some plastic (this was covering a carpentry project) where they died. They were in fine shape, so Bryan took them home for some photos. The results are at the right. 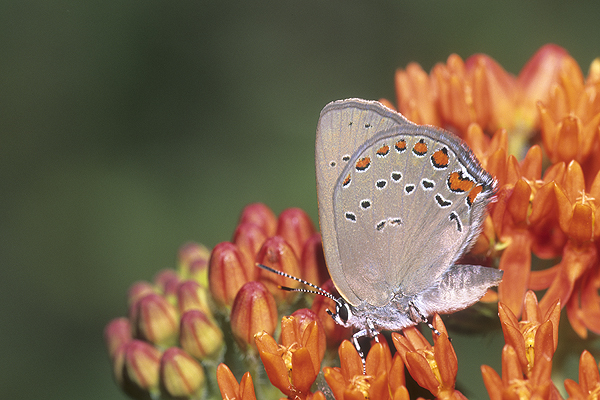 Currently, Bryan is processing several hundred recent butterfly images from various areas in Oklahoma. So keep checking back frequently for updates. Oh, before we forget, Bryan was in a short feature in Oklahoma Magazine about his photography and his founding of the Butterflies of the World Foundation. This magazine is complementary and is usually carried at Borders book stores in larger cities in Oklahoma. The BOTWF has been busy over the last two weeks with photography trips to various areas of our home state, Oklahoma. The habitats are so varied here and consequentially so are the butterflies. One great place to go is the Pontotoc Ridge Preserve located south of Ada, Oklahoma. This Nature Conservancy property is a classic crosstimbers habitat with a mix of pristine prairie and forest. Bryan was there a couple weeks ago and was able to photograph several butterflies including some Southern Broken-Dashes on purple coneflower. Another great Nature Conservancy property in Oklahoma is Four Canyon Preserve located in the northwestern part of the state, in Ellis County just before the start of the panhandle. Bryan was there about a week ago and this was his first visit. The preserve is 4,000 acres of mixed-grass prairie, rugged canyons, and floodplain along the Canadian River. It was unseasonably dry, they had only received 3/10ths of an inch of rain since October. There was a concern that there would be no nectar flowers. Our concerns were put to rest on the first day of photography. Although not in huge numbers, the flowers were blooming and they had butterflies on them. 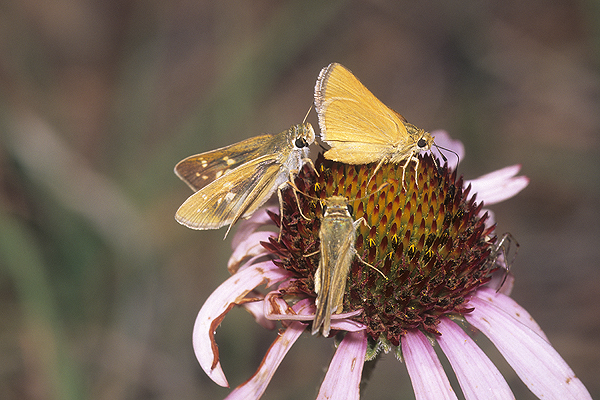 The Preserve is a skipper paradise with both the rare Arogos and Ottoe Skippers found there. 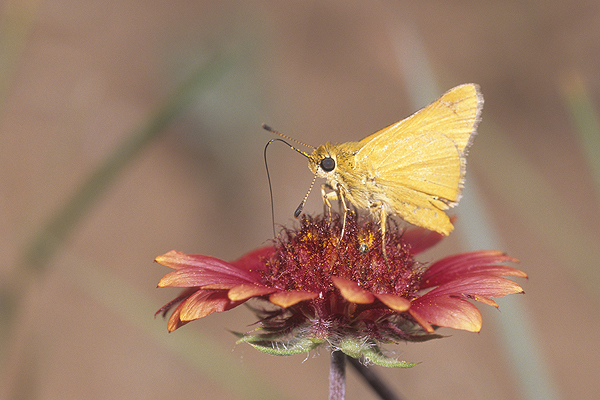 Bryan was able to photograph an Arogos Skipper on the Oklahoma state wildflower, Indian Blanket, Gaillardia pulchella. And he also got an Ottoe Skipper on a conflower with an Arogos and Crossline Skippers along side. 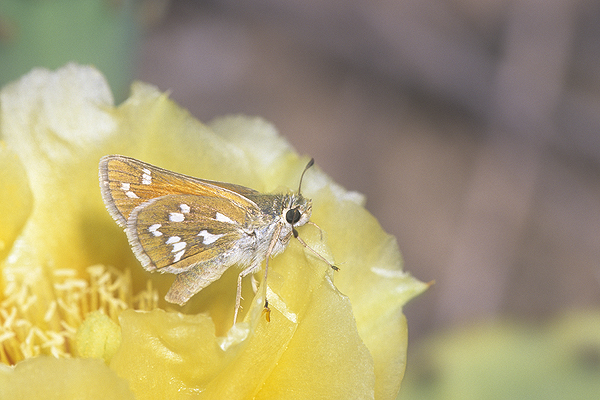 There were also a number of Green Skippers nectaring off of a variety of flowers including Prickly Pear blossoms. It was comical to watch them dive into the center of the blossom with their rear ends poking up. 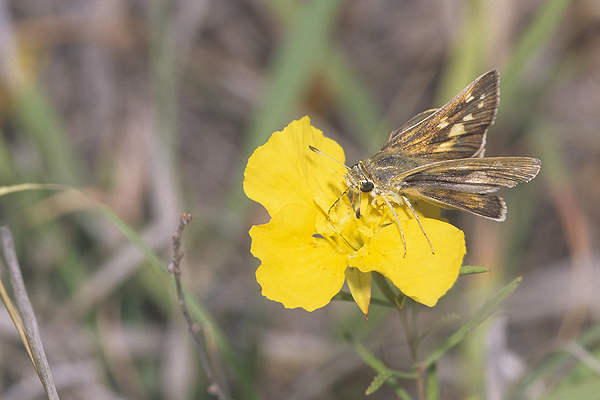 Besides the cactus flowers, there were also a number of skippers using primroses for nectar including the Dotted Skipper. This was a new species for Bryan to photograph and he was able to get both dorsal and ventral shots of a number of individuals. 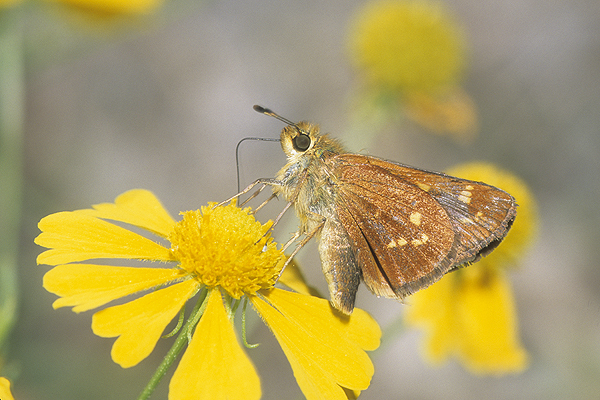 The sixth skipper to be photographed was the Uncas Skipper. They were utilizing purple coneflower and the cactus blossoms along with their cousins. 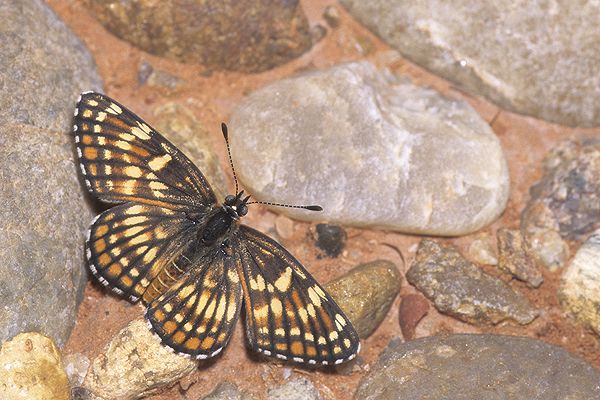 Besides the six species of skippers that Bryan photographed, the Fulvia Checkerspots were out in high numbers. Bryan was able to photograph several individuals, both dorsals and ventrals, males and a lone female. This species was necataring mostly on Paperflower, Psilostrophe villosa. The Preserve has many other natural history subjects and a few crossed paths with the front of Bryan’s lens. Some memorable ones included horned lizards, collard lizards (seen not photographed), ornate box turtle, various bees, beetles and other insects. All in all, it was a great three-day trip and Bryan can’t recommend it enough to anyone wanting to explore it. Besides the extensive photography, the BOTWF did a presentation for the Lexington Elementary School in Lexington, Oklahoma. This was part of their summer camp. There were approximately 50 kids ranging from four to nine years old. They eagerly watched a quick multimedia presentation by Bryan and during the question and answer period had some remarkable stories and observations. This is our next generation and they will have a lot of things to deal with in 20 or so years including the population of the earth and other environmental crises. After the presentation, Laura prepared a great craft project and the kids all made ‘stained glass’ butterflies. June is a very busy month for the BOTWF. A few presentations are scheduled for the Oklahoma City and Norman area. These are free and open to the public. Please check our June calendar for dates and times and we hope to see you there! once the slides arrive they are ruthlessly edited, properly labelled with common name, scientific name, location data and date, then each image that is to be used in programs or the website are high resolution scanned. Once converted to digital format, the images are given a touch of levels adjustment and rarely a curves adjustment then they are sized for web use and/or multimedia program use. Bryan travelled to Broken Bow, Oklahoma, located in the southeastern part of the state. From there he went to Cedar Creek and Beech Creek, both in the Ouachita National Forest. 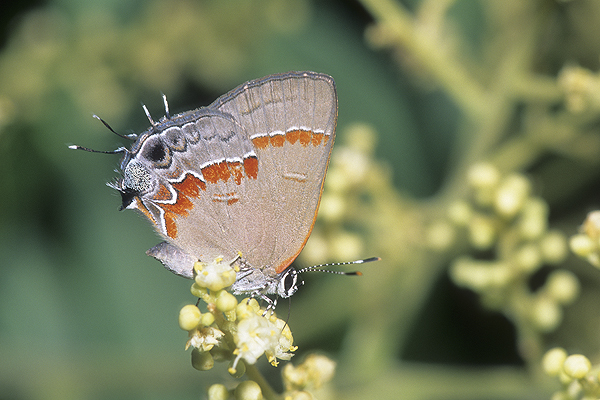 He got shots of Tawny-Edged Skippers, a Spicebush Swallowtail, Pepper and Salt Skippers and a Coral Hairstreak. 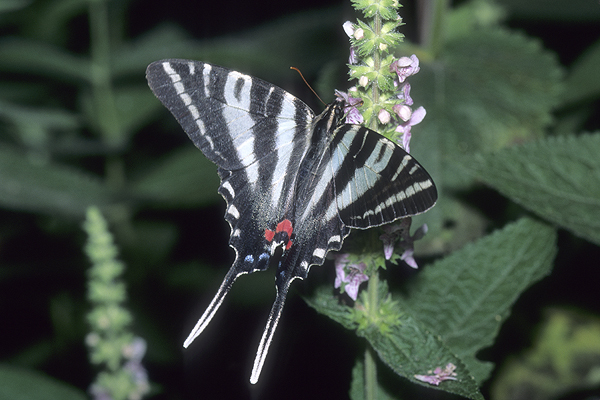 At Beech Creek he was treated to a fine display of dozens of Zebra Swallowtails. He got both ventral and dorsal images of some very fresh individuals with some very long tails. This was the first time Bryan was able to get this species on film. The next photo trip was to the Nature Conservancy’s Pontotoc Ridge Preserve in central Oklahoma. 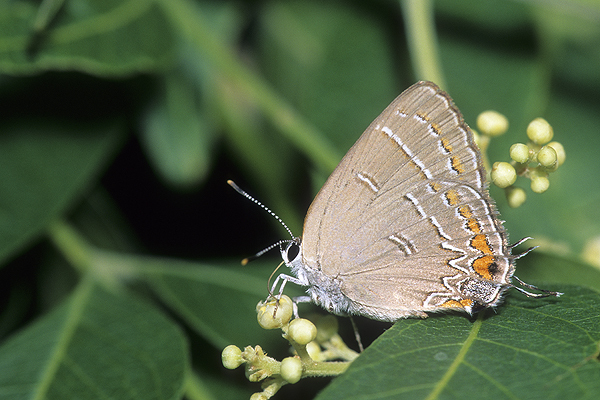 Bryan found and photographed a fresh Soapberry Hairstreak and a beautiful Red-Banded Hairstreak. A tentative trip is planned to head to the eastern part of Oklahoma to find and photograph more Diana Fritillaries within the next week or so. Also, check the calendar for some more presentations. Two are scheduled for this week and one for next week. We hope to see you there! 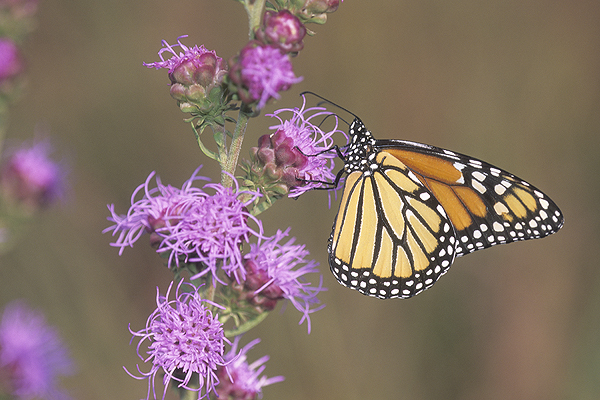 The Butterflies of the World has been busy over the last four weeks. A total of four presentations were given to various groups that included the Oklahoma City Audubon Society, the Red Earth Group Sierra Club, The Oklahoma Department of Environmental Quality, and the Cimarron Group Sierra Club. All of them were very well received and were filled with wonderful discussion after the presentations. Currently, there are several more presentations getting coordinated for this fall and spring 2012, so keep a lookout on our calendar. Unfortunately, due to the extreme heat and drought, Bryan opted to not do any butterfly photography since his last trip to the southeast corner of Oklahoma in June. In the past four weeks, temperatures have soared to well over 100 degrees without a break. We’ve actually recorded over 110 on four days during the last month. There is a burn ban in effect and several acres of pasture land were burned due to a carelessly tossed cigarette, about five miles from the BOTWF headquarters, just two days ago. Because of the bad conditions, administrative work is continuing on the website species treatments as well as coordinating presentations and workshops. Caitlin has been working hard on the species range maps and three of them have been posted; Anise Swallowtail, Canadian Tiger Swallowtail and Mormon Metalmark. They look great and are a wonderful addition to the species treatments. 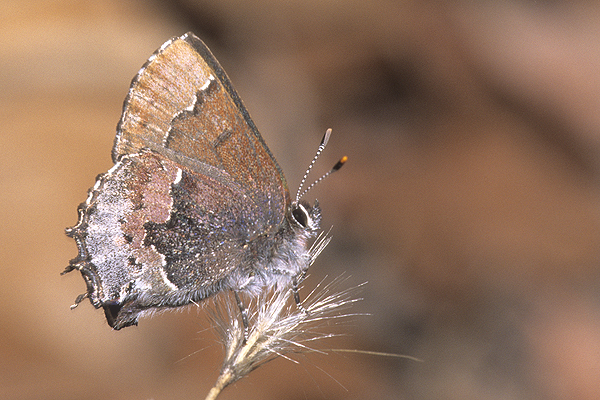 Hopefully, the drought and heat will abate soon and we’ll have some new butterfly photos to post in the next update. Since the last update at the end of July, the temperatures have soared here in central Oklahoma and there has been no rain. One day we hit 115! The forest around the BOTWF headquarters is very dry and there is now an extreme fire hazard. Just a few weeks ago, up in Oklahoma City, there was a grass fire that destroyed 13 homes. It’s a scary situation, but just within the last week, temperatures have started to slowly go down and we’re finally below the daily 100 degrees (although today was again over 100). There is also rain in the forecast, so hopefully, relief is in sight. Since the last update a presentation was given to the Drumright Garden Club in Drumright, Oklahoma. Just as always, it’s nice to talk with like-minded people. Unfortunately, most of the discussion was about the heat, drought and how hard it was to grow anything in a garden. But, the presentation went very well. Next weekend we’ll be at the Tallgrass Prairie Preserve to do a workshop with the Oklahoma Master Naturalists on the prairie ecosystem and the butterflies that live there. It’s not too late to sign up, so check out our calendar. We’ll also be at the Nature Conservancy’s Nature Festival on the 18th of September. Bryan has barely been out with his camera due to the extreme heat. 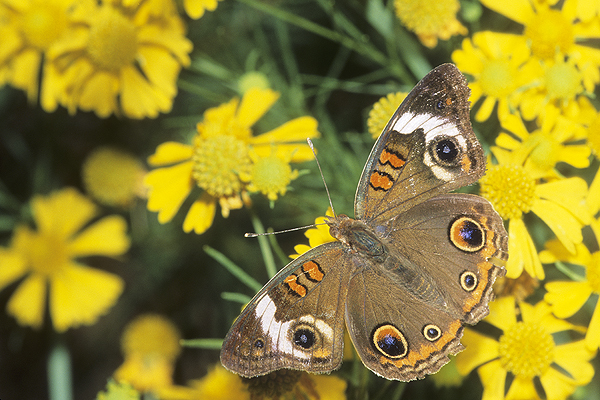 Over the last week he’s gone out to the Lexington Wildlife Management Area and saw only five species of butterflies. The year before, at the same location and time, he counted 30 species comprising hundreds of individuals. So, unfortunately there are no new images to share. Caitlin has been busy and has completed several range maps including the Pipevine, Zebra, Eastern Tiger, Two-tailed, Spicebush and Palamedes Swallowtails. on nice flowers with clean backgrounds. The next day, Bryan was off to Jenks, Oklahoma, a small community right next to Tulsa. There, The Nature Conservancy was celebrating its 25th anniversary and the BOTWF was invited to set up a table. Bryan met and talked with many people enthusiastic about nature in Oklahoma. He handed out several brochures and exchanged several emails. The next big event was the Oklahoma Bioblitz held on the 14th and 15th of October. It was held at the Chickasaw National Recreation Area near Sulphur, Oklahoma. This was the second year the BOTWF has attended and it was quite a turnout that set a record for attendance. Priscilla Crawford organized the whole weekend’s worth of activities and she did an admirable job. Bryan gave a presentation on Friday night and a butterfly walk on Saturday. It was a great success and it was nice to see so many people interested in natural history. Of course Bryan got out with his camera since the last update. The unbearable temperatures finally cooled off and the fall species started to appear, but in lower numbers than usual. 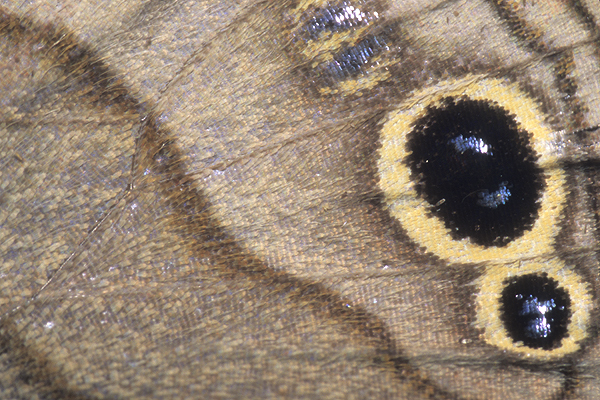 One of the things about the BOTWF website is that we want to include as much about butterflies as possible. 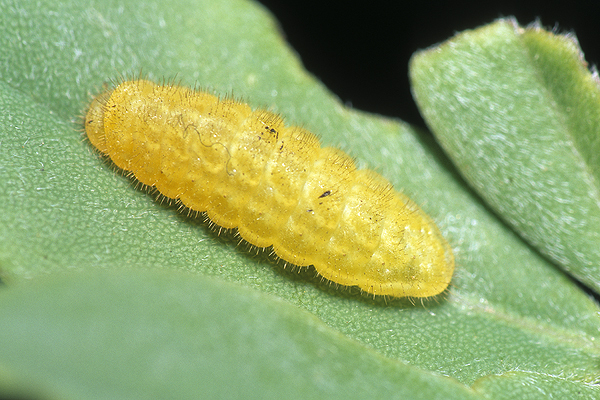 So, Bryan’s been photographing larval food plants when he can and updating the species pages with those images. 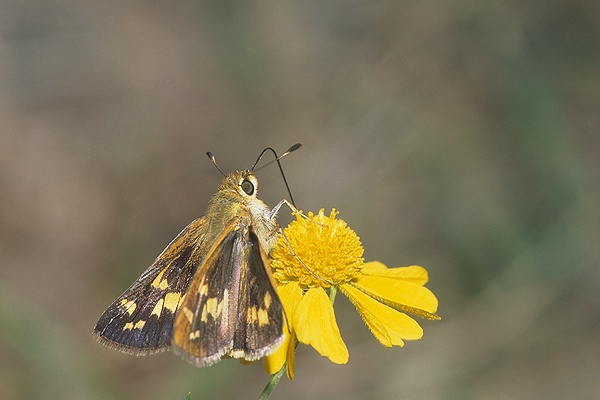 He was able to photograph sneezeweed, Helenium amarum, which is one of the larval food plants for the Dainty Sulphur. He also photographed black willow, Salix nigra, that the Red-spotted Purple, Mourning Cloak and Viceroy eat as caterpillars. 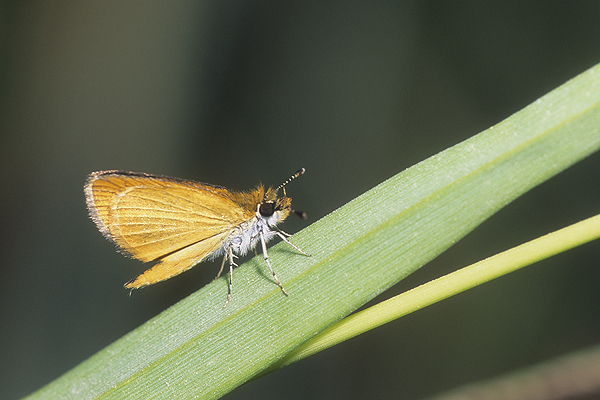 While photographing the willow in a wet area, he saw a tiny Least Skipper and was able to get some photos. Earlier in the year he photographed various oaks and milkweeds and the website has now been updated with those images. Check out the Monarch and Banded Hairstreak pages to see some examples. More presentations are being coordinated. So, please keep checking our Calendar to see if we’re coming to your area. Also, please contact us if you need a presentation for your group. That’s all the news for now. On 17 November, Bryan was off to Tulsa to give a presentation for the Green Country Sierra Club. Bryan was interviewed by the Tulsa World for this event and the article can be read here. Apparently, there was also a pitch on the NPR radio station about the event and because of that, there was a full turnout. Many people stayed after the presentation for a nice discussion and Q&A session. 2011 is starting to wind down and now’s the time to contact us for a presentation for your group in 2012. Bryan gave a total of 28 presentations in 2011 and he’s in high demand, so don’t delay your request. We’re hoping to have the 2012 calendar posted by the next update, so keep checking back. New photos posted since the last update includes some from a trip to the McGee Creek Wildlife Management Area located just north of Atoka, Oklahoma. Bryan was there on 12 October and photographed several Leonard’s Skppers, an Orange Sulphur, Horace’s Duskywing, and Common Buckeye. For those of you who like all kinds of nature photos, Bryan has created a Facebook Fan Page. Since he photographs all aspects of nature and wildlife, he wanted to combine this into an easy-to-view site that includes all of his current photography and other images from his files that pique his interest. And finally, Bryan is reviewing his photos of 2011 to select his top ten butterfly shots for the year. If you have any favorites, let us know! A gallery of the top ten will be posted soon, so keep checking back. In the month of November, Bryan gave two presentations to eager audiences. On the 12th he was at the Journey Clinic located in Moore, Oklahoma to give a presentation at their Fall Festival. The clinic is run by Dr. Lana Nelson, the daughter of the well known Oklahoma Lepidopterist and author, Professor John Nelson. The program went very well especially with some very intelligent youngsters that Bryan couldn’t stump with some pretty tough questions. Journey Clinic is located in far north building of the Moore Medical Center complex. The clinic has a large gallery of photographs by Bryan with accompanying museum mounted examples (provided by Professor Nelson) of the various species. I’m sure they wouldn’t mind if you popped in to take a look if you’re interested.